Fantastic 2.73 acre country setting and located on the edge of Fredericktown, Ohio. This adorable farmhouse features with 3 bedrooms and over 1,500 square feet of living space. Desirable and convenient main level laundry room / mud room, large living room that is highlighted with hardwood flooring and a gas log fireplace, adjoining formal dining room and adorable cabinet filled eat in kitchen. Perfect for out of town guests, in-law suite or rental property. This second home is super cute and includes 1 bedroom, 1 bath, a living room, and an eat in kitchen. There is also a 38 x 30 barn as well as two smaller outbuildings. Located in the Fredericktown, Ohio School District, this property is an absolute must see and is priced to sell quickly at $140,000. 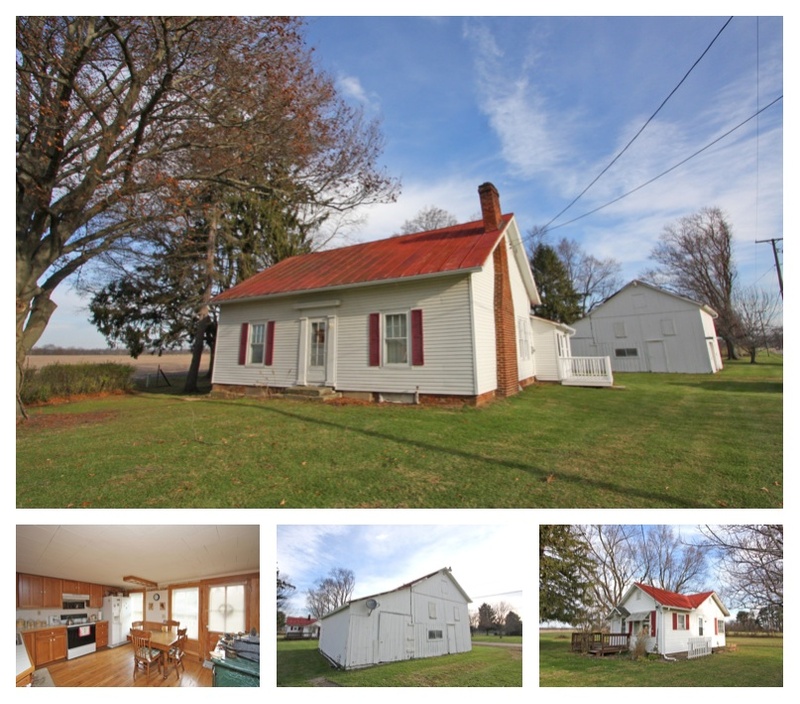 Click here for more information on this 18210 Roberts Road in Fredericktown, Ohio 43019.